Technology is so prevalent today that it has become a core component in a variety of everyday, real-world legal concerns. However, inventors aren’t always aware of the legal ramifications of their work, and lawyers aren’t always familiar with the latest in emerging tech. 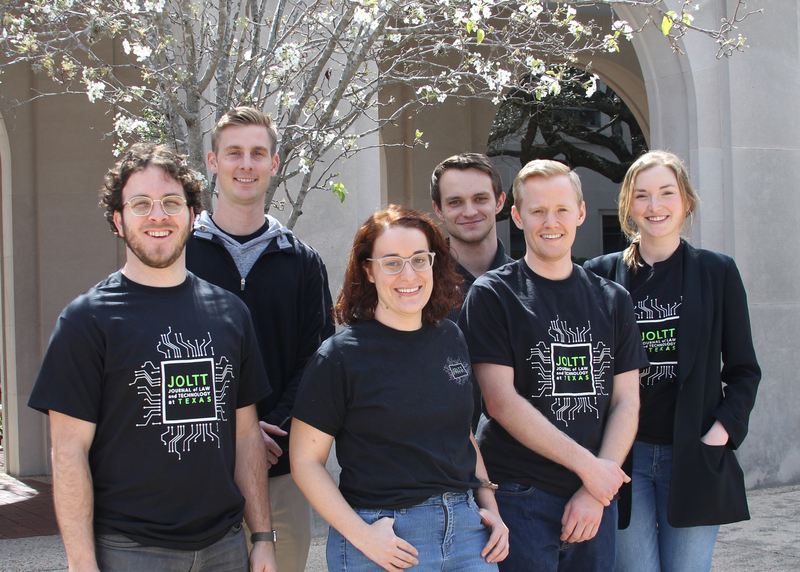 That is why a group of UT students created The Journal of Law and Technology at Texas (JOLTT). Hayley Ostrin, a current law student and editor-in-chief of the journal, says that she first learned how technology and law are closely intertwined when she was pursuing a master’s degree in bioengineering. Ostrin frequently saw inventions that had the potential to change lives. However, that potential was hindered when the engineer failed to account for any legal ramifications. The journal is committed to exploring the vast impact that technology has on the policies and practice of law. Curating the journal, the students gather articles, host events and bring in industry speakers to illuminate the increasingly technology-driven legal landscape. Some examples of interdisciplinary topics that the journal explores are legal accessibility (e-filing, LegalZoom), civil procedure (e-discovery, spoliation), privacy (NSA, wiretapping), torts (self-driving cars, digital trespass), criminal law (hacking, dangerous manipulation of technology), medical law (prosthetics attached to computers, nanotechnology for attacking diseases), digital rights and contracts. Currently, Ostrin is working hard to push the journal toward a new format — one in which technology is the underlying core of emerging issues. “We are publishing blogs, interviews and panels in order to increase the relevancy of the information we provide and allow us to move just as quickly as technology is developing,” she said. Furthermore, Ostrin wants to break existing stereotypes about technology and law. For example, there is a common misconception that technology law refers only to intellectual property or internet law. In actuality, technology law covers a variety of fields from engineering to computing to medicine, affecting almost every aspect of modern life. Ultimately, the intersection of technology and law is important because computers are becoming integral parts of our lives, and we need legal frameworks to both safeguard rights and prevent crime and abuse. In the meantime, JOLTT is working hard to educate people about this growing intersection and change common misconceptions. The second volume of the annual journal was published this month and covers a variety of fascinating issues, from using drones in construction to catfishing to virtual payment in VR games. The journal spreads a compelling message — perhaps technology and law are not so vastly unrelated after all.